If you're looking to show off an improved silhouette, the VOE SLIM Waist Shaper is exactly what you need! The garment has two layers of fabric in the abdominal area, and has steel rods located on the front and back, to provide additional support. 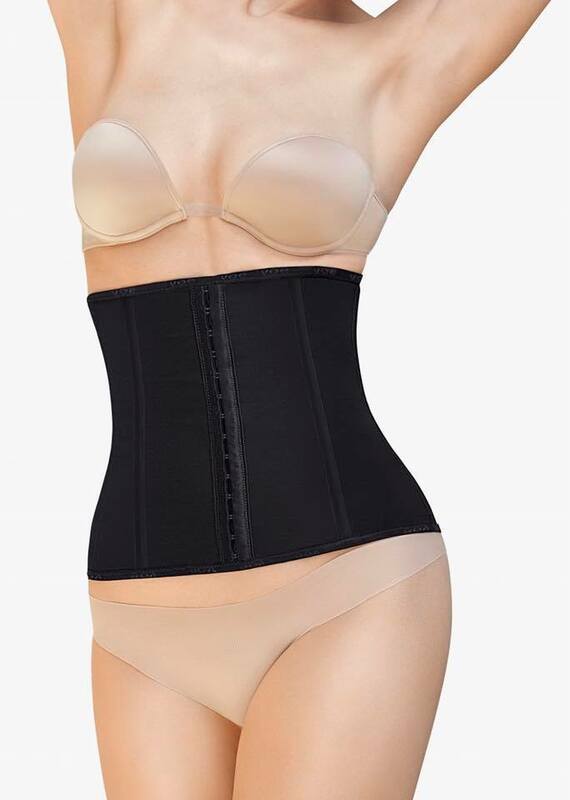 The Waist Shaper is highly supportive, and acts like a second skin, to allow for natural movement of the body. ​Front fastening with hook-and-eye closures in three positions. Made with LYCRA® and soft and comfortable polyamide microfibre, incorporating microcapsules with active ingredients. Not only does this garment give you a great look, but it also works to smooth the skin. Active ingredients: Caffeine (Activates microcirculation, enhances fat burning and cellulite reduction), Retinol and VitA (stimulate collagen synthesis), Ceramides (have a tightening affect on the skin), Fatty acids (provide hydration to the skin), VitE (antiaging and antioxidant) and Aloe Vera (hydrating, anti-inflammatory and anti-irritant). 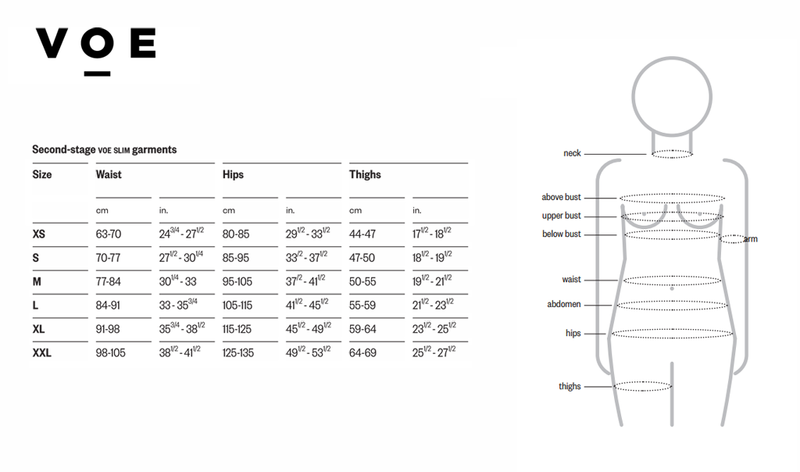 Important Healthy Tip: Due to long, continuous periods of time that you may need to wear the garment, it is recommended to purchase 2 garments. Having two garments will enable you to always have a freshly clean garment, while the other one is being washed. To help your body flush out potentially harmful toxins. © 2019 Recova Post Surgery.